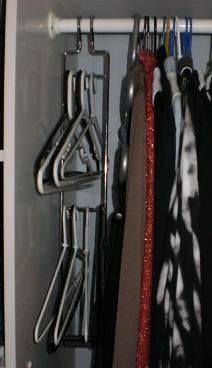 Store your coat/ clothes hangers along a wall in the laundry for easy access. Store coat /clothes hangers and rack in the laundry. Like next to the dryer. Drip dry cloths in the laundry. No more wasting time looking for spare coat hangers.